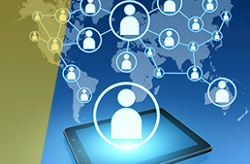 Modern enterprise organizations are constantly looking to sharpen their edge. They have sales professionals on their teams who thrive from learning the basics of the Sandler methodology. But what about their sales professionals who are selling to enterprises and Fortune 100 named accounts? Sales are more complex, sales cycles are longer, and team selling is more important than ever before. Enter…the Sandler Enterprise Selling Program. 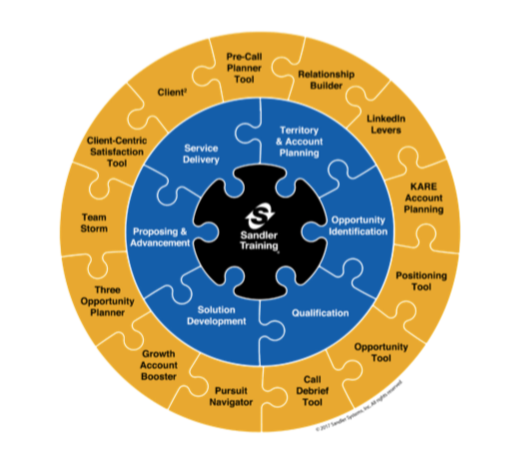 Enterprise Selling Program tailors the Sandler methodology to address the needs of organizations selling to enterprise clients. In our Enterprise Selling Program, we enable your team to approach their sales in a more wholistic (and less transactional) way. Larger deals and more revenue. Staying true to Sandler, the program is driven by reinforcement to encourage incremental change over time to create lasting success. This highly strategic system helps Enterprise Selling Businesses overcome changes of complex sales cycles, serve their large clients effectively and expand them over time. In enterprise selling, every piece of the puzzle must come together. While SES is based on six sequential steps, it’s actually a continuous process of selling to enterprise clients, serving them well and growing the business through streams of transactions over time. Submit your name and email to speak with one of our trainers and start winning more profitable enterprise business today! Equip yourself with the tools needed to tackle large, complex accounts. The SES book provides you with the practical approach to win business with profitable enterprise clients. Take a look inside. Submit your email below to get a sample chapter of this amazing tool!